Fredsted, A., Clausen, T., & Overgaard, K. (2008). Effects of step exercise on muscle damage and muscle Ca2+ content in men and women. The Journal of Strength & Conditioning Research, 22(4), 1136-1146. HANDELSMAN, D. J., & STARAJ, S. (1985). Testicular size: the effects of aging, malnutrition, and illness. Journal of andrology, 6(3), 144-151. Kupchak, B. R., Kraemer, W. J., Hoffman, M. D., Phinney, S. D., & Volek, J. S. (2014). 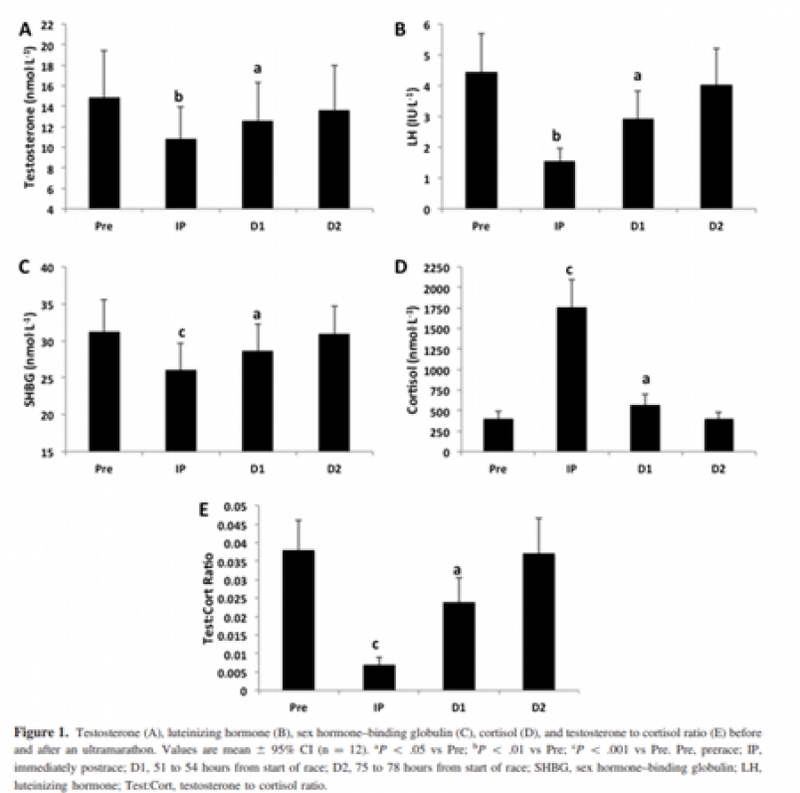 The impact of an ultramarathon on hormonal and biochemical parameters in men. Wilderness & environmental medicine, 25(3), 278-288. Sayers, S. P., & Clarkson, P. M. (2003). Short-term immobilization after eccentric exercise. 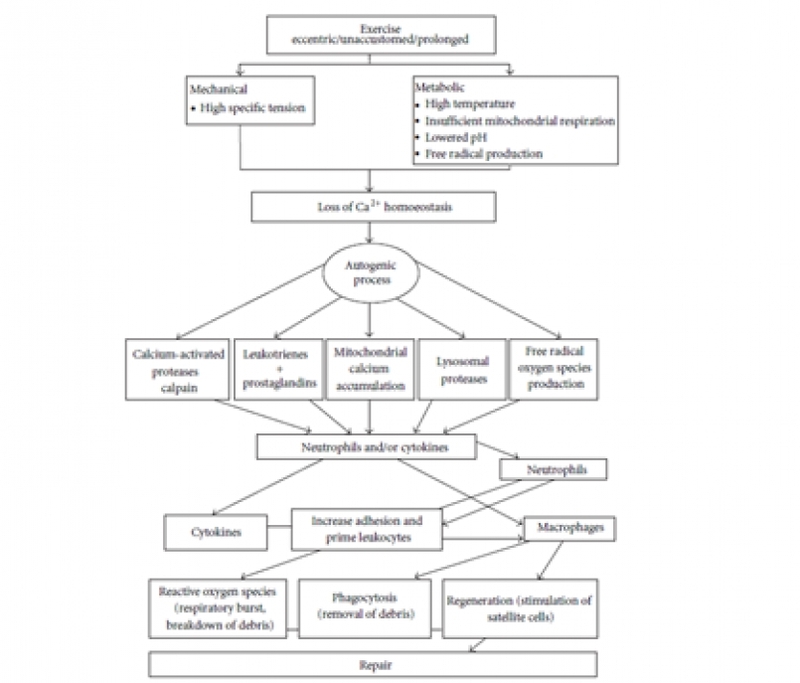 Part II: creatine kinase and myoglobin. Medicine and science in sports and exercise, 35(5), 762-768. Totsuka, M., Nakaji, S., Suzuki, K., Sugawara, K., & Sato, K. (2002). 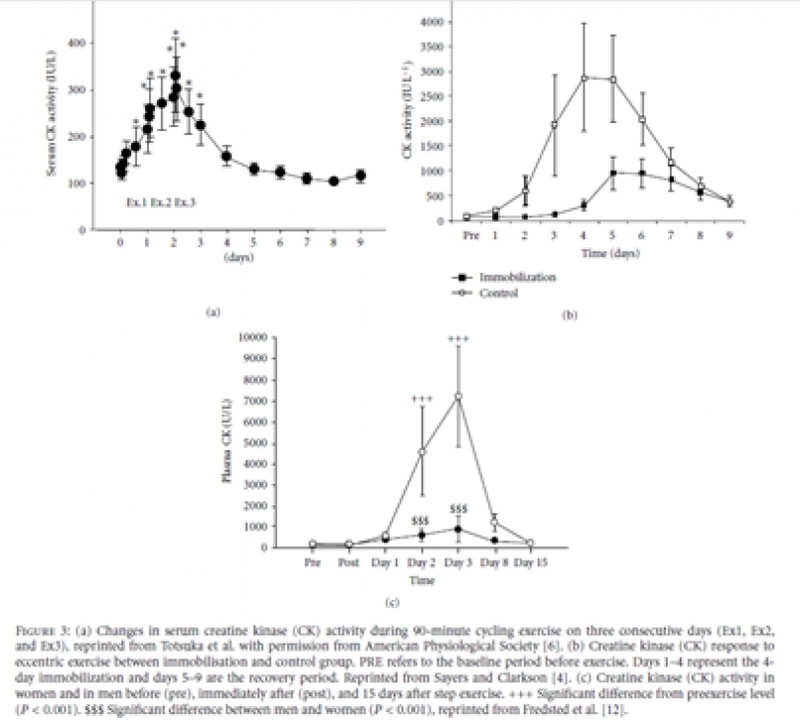 Break point of serum creatine kinase release after endurance exercise. Journal of Applied Physiology, 93(4), 1280-1286. Warhol, M. J., Siegel, A. J., Evans, W. J., & Silverman, L. M. (1985). Skeletal muscle injury and repair in marathon runners after competition. The American journal of pathology, 118(2), 331.